I have not installed these yet, but I did put them together and they look very nice I think they will be the right addition to my kitchen. I found similar products from other websites but they were quite a bit more expensive so I’m very happy with the price on these. Get both striking style and handy illumination in your dining room with this Kurtz pendant by Jonathan Y. 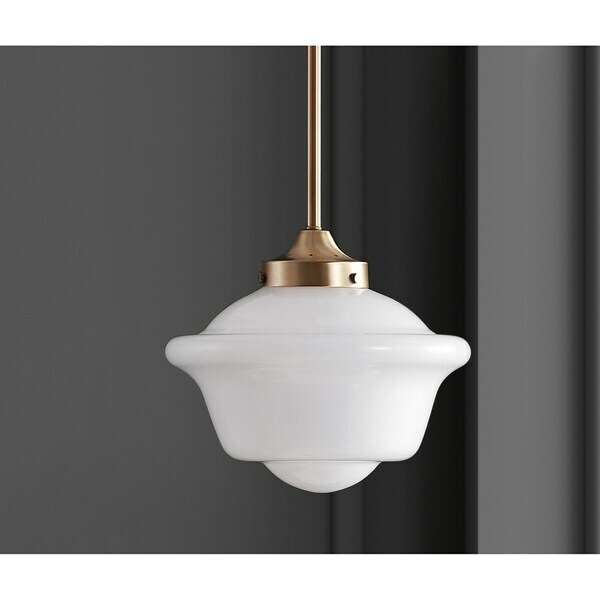 Made from sturdy metal and elegant glass, this light pendant is adjustable for a customizable hanging length that suits your lighting needs. Dimensions 9.5 In. X 9.5 In. X 17.0 In.